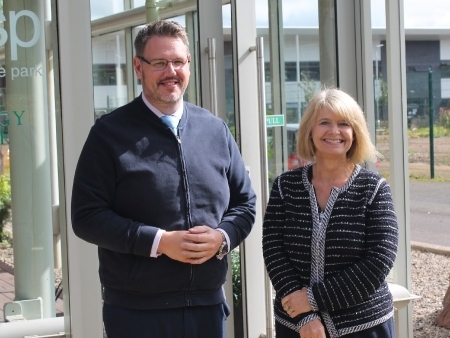 West Worcestershire MP Harriett Baldwin raised the impact of rural crime during a meeting with West Mercia Police and Crime Commissioner John Campion. The pair discussed the impact of a series of raids on cash point machines and steps currently being taken to identify and arrest the people behind the incidents, which police say are linked. While investigations are underway, John Campion has agreed to meet with communities who are worried about the impact of these incidents and discuss individual measures which may help prevent rural crime. The pair also discussed work to prevent drug dealing in the county, measures to reduce rural speeding and the use of automated registration plate recognition to reduce crime. Harriett commented: “There have been a number of serious raids on cash point machines across West Worcestershire and they have caused concern both to businesses and people who live in these rural communities who are impacted by the loss of their ATM. “I’ve already discussed this with the Chief Constable and I was keen to meet with John Campion to ensure that the investigations are properly resourced. We all agree that it is important to make arrests and convict the people responsible as swiftly as possible. “John has pledged to meet with people who are concerned about the impact of these crimes and support them as best as he can. In the past we have discussed CCTV for specific areas and I am interested to see if these plans can be developed. Police and Crime Commissioner John Campion said: “I’m committed to supporting West Mercia Police to tackle those who commit these types of crime and provide a better service to those who fall victim to them. I have invested in Rural and Business Officers, and am reassured by their work to prevent crime and ensure voices from communities are heard.